When I first drove up to this home I immediately fell in love with its charm! Situated on 2 acres this home gives you the privacy that you want while still being close enough to meet and mingle with your neighbors when you are ready. The cherry on top? Located to the left of the house are FOUR mature apple trees! Can you say homemade apple pie people?! YUM! I’ll attach a complete list of the updates at the end of this post. In the last 5 years this house has been so well taken care of and I can’t wait for you to see the rest! In addition to the updates this home boasts 3 bedrooms, all very good sized (no dinky third bedroom to worry about here!). There are two full bathrooms on the second floor and one half bathroom on the main level. The master bathroom underwent a complete remodel and boasts modern ceramic tile finishes and a beautiful glass shower. The main living areas are large and filled with natural light! The family room has a beautiful brick accent wall with wood burning fireplace. Can we also take a minute to admire these gorgeous refinished wood floors? LOVE! The large dining room is perfect for hosting family gatherings and holidays. The first floor laundry has plenty of room for storage and folding and doubles as a beautiful mud room fit for HGTV! Did I mention the light in this place? Incredible! Sits on private 2 acre lot in a quiet, spacious, country neighborhood setting. Country feel but close to everything. Shed in backyard for storing lawn mower, garden tools, etc. Ok, full disclosure… this is NOT my most entertaining blog but it is the most important piece of advice I have to share with you in the current market. I promise to keep it to the point, fact based and maximize your earning potential at the end of the day. Here goes…. Is the market hot in the Spring? Is the market hot now? According to the Columbus REALTORS December Housing Report (link to full article below) at the current sales pace there is only 1.4 months of supply inventory available which translates to – if zero homes are added to the market in the next 1.5 months there would be no homes for sale. Oh, by the way, a balanced market has 6.5 months of supply inventory. So for balance we need 6.5 months of supply inventory. We have 1.5 MONTHS OF SUPPLY INVENTORY. So lets check in with demand. 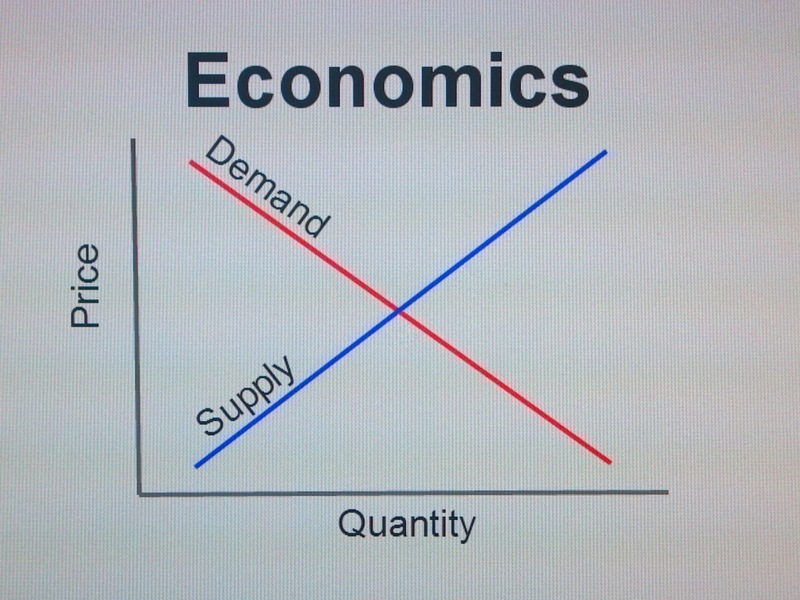 Is demand down too? In 2017 we sold 32,218 homes and condos in Central Ohio which is the highest number of homes sold in a single year…EVER. So we have all time high sales (buyers are on the hunt for their new home). All time low inventory (we don’t have enough houses for sale). I just checked and between 1/01/18 and 1/30/18 we listed 1,814 homes for sale in the Columbus REALTORS Multiple Listing Service. Between 5/01/17- 5/30/17 we listed 3,987 homes for sale in the Columbus REALTORS Multiple Listing Service. Your BANK ACCOUNT needs you to sell. Think You’re Ready to Take The Home Ownership Plunge? Make Sure You Take These Steps! If you are like so many of my past clients you may have found yourself wondering if it’s finally time to take the plunge and buy your first house. 1) You’re tired of lighting money on fire in the form of a monthly rent check given to a landlord that still hasn’t fixed your continuously running toilet. 2) All the random people from your high school graduating class are posting pictures of themselves in front of their shiny new houses. 3) Your dad keeps telling you about the time he bought his first house when interest rates were 19% and that with a rate in the 3’s or 4’s you could buy so much more house (HE’S RIGHT!). 4) Most importantly… you just feel READY! SOOO what do you do now….. Using a lender with good experience and positive referrals can make a world of difference throughout your real estate transaction. Did you know some offers are rejected by the sellers solely based on the reputation of the lender the buyer is using? YIKES! If you are in the market for a lender and would like a referral I am happy to share my list of strictly vetted mortgage bankers from various companies with you. Also, you may be approved for much more than you are comfortable spending. Focus on a monthly payment that is comfortable for you and don’t forget to factor in property taxes, home owners insurance, your interest rate and any mortgage insurance that may be applicable! Talk with your agent about the things that are most important to you in terms of location. Are you looking for schools with excellent ratings? A neighborhood within walking distance to shops and nightlife? A quiet peaceful area? Make sure you are working with an agent who is familiar with all parts of Central Ohio… they may know a neighborhood that would be perfect for you that you have never heard of before! I tell all my clients in our first meeting that PICTURES ARE DECEIVING! When you get there the home will generally be better or worse than the pictures and it is rarely exactly what you expected *read the house with the great pictures may have a gaping hole in the ceiling that they conveniently failed to photograph*. Try to ignore bad picture quality and focus on the layout, location and the homes alignment with your must have list. If it seems right, check it out in person. Going to the home will give you a whole new insight about its actual condition, the neighborhood and whether or not it feels right! Talk with your agent about the right offer for this home. As a general rule, no two offers are created equally and each offer should be unique to your personal situation and the home that is involved. Your agents experience will be vital in this phase. Make sure they are running comps (they will pull a list of comparable homes that have recently sold in the area and determine how this home matches up in terms of value), checking neighborhood data, speaking with the listing agent about other offers or potential issues and writing offers that align with the parameters of your lender pre approval. In some areas bidding wars are still common, make sure your agent has creative contract ideas to help you win the bid. Sometimes out of the box thinking on their part can help you win your dream home! ……..AGHH!!! !……WHAT DO WE DO NOW?!?!?!? Stay tuned for details on what to expect from contract to closing in my next blog! So here’s the deal. Not all listings are created equally. Every day I walk into homes that weren’t properly prepared to be listed and my buyers are immediately turned off. A few small, cost effective improvements in your home can move you into the magical and buyer approved category of ***MOVE IN READY*** or ***LIKE NEW***. In today’s market these properties are moving from For Sale to Sold in a matter of days or even hours. So the big question is HOW do YOU set yourself up for this kind of success when you are selling your home? 1. DEEP Clean and DE-clutter. SERIOUSLY. Do you know what buyers don’t like? They don’t like seeing the lint and dust (read dead skin cells and pet hair from your cat that ran away 2 years ago) gathered in the corners of your rooms or on top of your fans. Clean your baseboards, vacuum your vents, wipe down your cabinets, have your carpets professionally cleaned, wash your windows…. yes, on the outside too! People want to think that Mr. Clean lived in this house before them and when they see that the house is in mint condition they assume that you took meticulous care of the home (mechanical systems included). A clean home WILL INSTANTLY have more value in the buyers eyes than a dirty home. 2. Add or rearrange lighting. If you have yellow hued lights, they gotta GO! Your home needs to look clean, crisp, light and bright. Adding additional floor and table lamps can make your home feel more warm and inviting. Here’s the catch. You have to leave the lights TURNED ON during showings for this to work. That means when you leave the house in the morning you are going to need to splurge for the extra $1.30 in electric each day to keep those lights ON. Don’t forget to open all of your curtains and blinds too! 3. PAINT!!!!! PLEASE PAINT!!!!! BUYERS LOVE NEW PAINT!!!!!! Even if you painted in the last year or two your walls will have scuffs, dirt, nail holes, etc. and the buyers will see it as another project. Greige is all the rage right now so pick a neutral or two (Sherwin Williams, Agreeable Grey and Accessible Beige are two of my favorites) and paint AT LEAST the main living areas and kitchen. Even if the buyers want to change the color they will put it into the *DON’T HAVE TO DO RIGHT AWAY CATEGORY* and you will earn yourself some brownie points. Paint is huge. 4) Probably the most important piece of advice I have to offer you is… HIRE ME!!!! You had to know this was coming right?! On a very real note, hiring the right agent is TREMENDOUSLY IMPORTANT. Cousin Sue’s friend who retired and does this in between her semi professional career as an underwater basket weaver is just not a good choice, no matter what Cousin Sue says. I work tirelessly for my clients 24/7 and treat each transaction and home like it’s my own. We will work together as a team to go through your home with a fine tooth comb and set you up for the best chance of success in this market. As a top agent at Keller Williams Greater Columbus Realty I pride myself on the care I give to each client before, during and after your home is sold. I WILL BE THE DIFFERENCE IN YOUR HOME SALE TRANSACTION! I’m ready when you are…. I’m Ready to Buy but I Have a House to Sell—- NOW WHAT?! Oh to be a first time home buyer again (insert a reminiscent sigh here). Down payment assistance, no possession concerns, limited purchase expenses, past tax credits etc. If we could all just be first time buyers the real estate transaction would be SO much smoother. NEWS FLASH- We can’t all be first time home buyers. Crap. So now you have to sell your current home and then buy….or do you buy then sell?! What if you get a new house and your current house doesn’t sell, or what if your current house sells and you can’t find another house?!?!?!?!?!?!??!?! HELLLLPPPPPPP!!!!!! Ok, time to take a deep breath. It is all going to be okay. The reality of the situation is that people buy an average of 7 homes over their lifetime. That means that most of the real estate transactions that happen on any given day are NOT first time home buyers and if they can do it, you can do it. So how do you do it without coming completely unglued? When you are buying and selling it is important to work with an agent that is familiar with the community that you are buying in AND the community you are selling in. Some Central Ohio neighborhoods are selling like hotcakes while others are starting to slow down. Your agent will need to know what is making houses sell in both areas, if bidding wars are normal, if it is common for houses to sit for extended periods of time, if there are any contract expectations that could help win your bid(inspection waivers *use with caution*, cash above appraisal etc). Your agents research BEFORE you list or buy will be the biggest advantage you can have when you are juggling a purchase and sale at the same time. Having an agent who doesn’t have all their efforts concentrated on real estate could end up costing you big time. In some cases you may be lucky enough to be buying in a neighborhood where the home sale contingency is an acceptable condition to the purchase contract. This contingency will allow you to make the purchase of the new home contingent on your current home actually selling AKA if sh*t hits the fan and your current home doesn’t sell, you don’t get saddled with two mortgage payments. Sounds great, right? The only problem is that some of Central Ohio’s neighborhoods are selling SO quickly and with so many amazing offers, the sellers may immediately throw out an offer with a home sale contingency because of the risk that it won’t actually close. This contingency works well 1) in areas where houses are selling slower 2) with homes that have been on the market for a while and/or 3) when your house is already in contract and has a set close date. Make sure that your home is listing ready. Check out my last blog, Top Rules for Selling Your Home FAST in Today’s Market for my tips on prepping your home to sell fast! Also, BE SURE THAT YOU ARE PRICED APPROPRIATELY. If you run a cat rescue organization out of your home and currently have 23 feline residents (love me some cats), your bathroom tub and tile is still avocado green and you have a leaky roof it it is proobbbably not a great idea to list your house 20K over the highest priced sale in the neighborhood. You need to be realistic based on your homes current condition, upgrades, market conditions etc. and be prepared to price it based on comps so you can move on to your next home before pigs fly. There are 100 different scenarios that we can talk through and more insight and information that I can provide based on your current situation in order to set you up for the best chance of success when buying and selling at the same time. No matter what situation you end up in, I will have a creative solution that will best suit you and/or your family! I WILL BE THE DIFFERENCE IN YOUR HOME PURCHASE/SALE TRANSACTION!